With temperatures reaching into the 90s for most of the past two weeks, people of all ages have been looking for ways to stay cool. 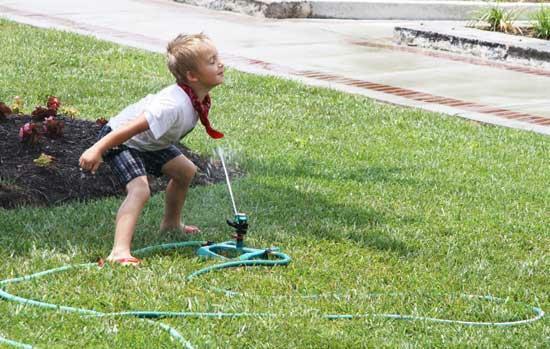 Six-year-old Jaden Fanning found one way to beat the heat Thursday afternoon as he played in the sprinklers outside the Cannon County Courthouse. Jaden, who hails from Texas, is the grandson of Deborah Fanning Brown of Woodbury. He is visiting his local relatives for the summer.